In this week’s episode of “YOUR QUESTIONS ANSWERED” I answer another question from one of our readers and this week’s question is from Ellie in the UK “My Mum has been in ICU for three weeks now and she is on ECMO for ARDS! Will she survive?”(PART 1) – You can also find PART 2, Part 3, Part 4, Part 5 and Part 6 of the question here. Podcast with Ellie, who’s MUM has been in Intensive Care for more than 3 months on ECMO for ARDS! Listen to Ellie’s story and how she overcame most of the challenges! I’m a new member of the support group ICU Steps and your website was recommended there. My mum has been in ICU in London for the last 3 weeks and is in a bad way. She was taking Methatrexate for her Arthritis and starting feeling breathless. I called 999 and she got taken into hospital and put on a simple gas mask. That then progressed to a big gas mask which she had on for 24 hours and hated at 100% Oxygen. Then she was put on a ventilator and sedated and taken to a London hospital in the night to go on ECMO artificial lung support. Each step of the way has got darker and darker and more difficult. She had a rare form of Pneumonia because of the Methatrexate which lowered her immune system, which then turned into ARDS. They didn’t know what the infection was for the 1st week but she was put on the ECMO system for 5 days and then taken off because the test results were good. But she caught an infection in the hospital which was Pseudomonas with a high fever. They keep probing her, with no results, and now because she came off the ECMO and back on the ventilator she has a collapsed lung (which they fixed) and now holes in the other lung(Pneumothraxes), which they are trying to fix and she is on a smaller ECMO taking carbon dioxide out. She now has another infection. They have woken her from sedation on 2 different occasions but her anxious state means the oxygen she needs goes up and then they put her back on sedation. I have been trying so hard to communicate with the pharmacist and the doctors about her anxiety from the beginning because she has been on Temazepam since the 80s when she had a breakdown and got addicted. 2 weeks ago she had a day awake out of 3 days where she stuck her tongue out at me on command , frowned and gave a surprised eyebrow look and even smiled slightly when I told her the nurse was going to brush her teeth. But a few days ago she looked brain dead and the muscles in her tongue weren’t working (I’m told there isn’t brain damage) but she didn’t look good on day 2 after sedation was wearing off. Now they have a new infection and dealing with the holes(Pneumothoraxes) in the lung but until the damage is irreversible she can’t be put at peace– allowed to die. This could take months. But I don’t want this for her and I know she wouldn’t want this. She also can’t move her hands and arms of course as her body muscles don’t work, I forgot to say. Im sorry, Im writing this quickly as I have an 8 month old baby who is asleep but keeps waking up! I desperately want her to get better and to get her in rehab. I have music on CD for her and i ring up every night asking them to put her earplugs in, in the hope she can get some deep sleep, even with sedation. I am used to driving her everywhere, helping keep her calm and positive and I feel so upset I can’t help her when she is so vulnerable and could be going through hell. It doesn’t look good at the moment, and I want her to be at peace. I visits everyday and have nearly burnt myself out, with the baby not sleeping through the night as well. You probably hear this story a lot. I will read more of your articles on your website now as well. It would be great to speak with you if you are able. Thank you for your questions and for making contact! I am very sorry to hear your story and I think that I can help you! After reading through your emails several times, I can now truly feel your situation and I think I have a good grip of what you are going through with your mother’s difficult and challenging situation in Intensive Care! 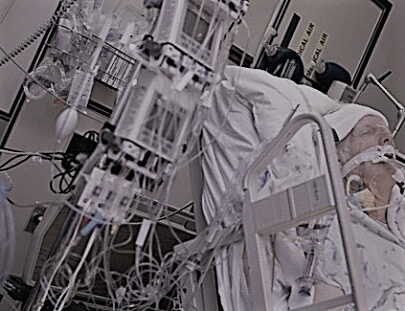 Going through a prolonged induced coma and sedation in Intensive Care can be a difficult and challenging process. Especially when Intensive Care team’s are trying to get critically ill Patients out of an induced coma to “wake them up” can be extremely challenging. This might even be more difficult with your mother’s history of taking Temazepam for decades and even being addicted to it, as well as in light of the fact that she has been in an induced coma for about three weeks now. Temazepam is a Benzodiazepine and what is important for you to know is that during the induced coma in Intensive Care the sedation being given was most likely Midazolam which is a Benzodiazepine as well. The doses of Midazolam being given for the induced coma would have by far exceeded the doses of Temazepam your mother was taking at home. Therefore the next step for your mother is to withdraw from the much higher doses of Midazolam she would have had and may still receive intravenously during the induced coma. On top of that she would have received a strong opiate(Pain killers) during the induced coma and she would have most likely been on either Morphine or Fentanyl for pain relief during the induced coma. The same applies to Morphine and Fentanyl, they are both addictive and on top of the withdrawal from Temazepam and Midazolam your mother will be withdrawing from Fentanyl or Morphine as well. The withdrawal process can be challenging, however is doable, even in light of a previous Temazepam addiction. Patience is critical to get your mother out of an induced coma, but it can be managed with the right mixture of medications such as Clonidine, Dexmedetomidine, Propofol etc…. That is of course given that your mother is otherwise getting better and her condition is improving. You have also mentioned that your mother had times when she was briefly awake and she was poking out her tongue when you asked her to. Again, critically ill Patients in Intensive Care in an induced coma may well fade in and out of consciousness and it’s nothing unusual to have lighter moments. Coming out of an induced coma is a process and it’s not an event! It’s like switching on a light with a light dimmer and not with a light switch. You are probably correct about your feelings as it relates to the Intensive Care team “experimenting” on your mother. This can be true especially since treating ARDS with ECMO is a relatively new treatment option and has only been around for the last 5 or 10 years. Therefore Intensive Care team’s are in fact still “experimenting” with ECMO. Having said that, ECMO can certainly be life saving and it can give your mother’s life back. From experience, 3 weeks in Intensive Care with an Induced Coma and ECMO for ARDS is not a long time and therefore giving it more time might be advisable. I can however relate to how you feel about what your mother is going through and I can also relate on how you must feel by spending day and night in Intensive Care, especially with your 8 month old baby. The situation you are describing to me is a “typical” Intensive Care situation and I know for you it’s horror to watch your mother suffer and you probably feel like three weeks is an awful lot of time, but not for ARDS, ECMO and induced coma. If I was you, I wouldn’t get too worried about the Temazepam and/or Lorazepam as it sounds to me like your mother has much bigger issues to deal with and I believe your mother’s next step is to get her Pseudomonas infection under control, take control of her “holes in her lung”(I would think you are referring to a Pneumothorax) get off ECMO, get off the ventilator and then manage her anxiety. It’s also likely that your mother will be confused, agitated and/or aggressive when she gets out of the induced coma. I can totally understand how you feel about having your mother at peace. Unfortunately the situation that your mother and you are currently in doesn’t give you much room for peace, as it sounds to me like it might be too early to come to a final decision. In a few weeks time you might be grateful to have your mother still around, however I can’t predict that. 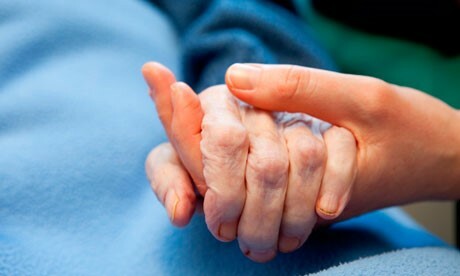 If you feel like your mother is suffering too much and if you feel like it’s getting unbearable for yourself and for your mother and if you think that a limitation of treatment or even a withdrawal of treatment might be in your mother’s “best interest” then you should certainly discuss with the Intensive Care team. You shouldn’t rush those decisions however! It would also be good to know what age your mother is, as I might be able to shed more light on the situation once I know your mother’s age. You should also not underestimate people’s resilience in light of extreme challenges. If I have learned one thing in more than 15 years Intensive Care Nursing experience in three different countries, then it’s that critically ill Patients can be extremely resilient even against many odds. Also, try and take time out for yourself. You need to be strong and you need to be at your best! You don’t want to make any hasty decisions you might regret down the line. I know how tiring, exhausting, emotionally draining, challenging and difficult this situation is for you, especially with your 8 month old baby and the situation most likely makes you feel very vulnerable too. However reaching out for help and trying to get a grip of the situation as well as controlling your emotions is the right thing to do. I hope this helps Ellie and I can be available via Skype in the next few day, just send another email to schedule a time. Please let me know and I can answer more questions and guide you through this challenge. Make sure you also check out our BLOG section with more tips and strategies or send me an email to [email protected] with your questions!